The canonical Ukrainian Orthodox Church can now freely and openly exist only outside Ukraine, Rossiya Segodnya International News Agency political observer Vladimir Kornilov said on December 23 on the air of the Evening with Vladimir Solovyov TV program at the Russia One channel. 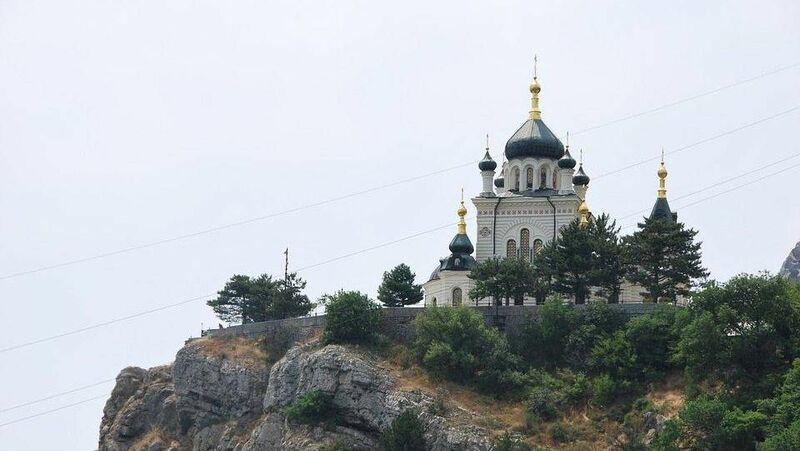 According to the expert, ever since the Ukrainian authorities have issued an act on the forceful renaming of the traditional Ukrainian Orthodox Church, the local nationalists will have legitimate grounds for their attacks on churches. “The Ukrainian authorities and the Ukrainian nationalists (would-be Ukrainian) will trample, tear off, and break signs with the word ‘Ukrainian’,” the political scientist said. On December 22, 2018, the president of Ukraine signed an act which obliged the canonical Ukrainian Orthodox Church (of the Patriarchate of Moscow) to change its name to the Russian Orthodox Church in Ukraine. This entry was posted in News from Russia and tagged Informational-Psychological War, Ukraine, Ukrainian Orthodox Church (Moscow Patriarchate). Bookmark the permalink.